HOTEI TO RELEASE “STRANGERS” ALBUM VIA SPINEFARM RECORDS IN THE U.S. 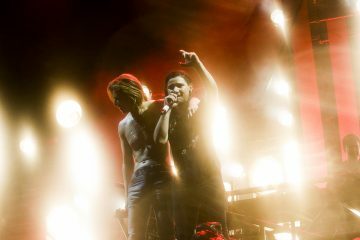 Featuring Guest Vocals by Iggy Pop, Rammstein’s Richard Z. Kruspe, Bullet For My Valentine’s Matt Tuck and more. Playing Los Angeles’ Troubadour and Highline Ballroom NYC, in July. Debut single “Move It” released today, featuring Richard Z. Kruspe from Emigrate/Rammstein. With sales exceeding 40 million in his native Japan alone, and known around the world for his original song “Battle Without Honor or Humanity” which was made famous by its inclusion in Quentin Tarantino’s blockbuster KILL BILL, HOTEI (pronounced “hoe-tay”) is embarking on the next chapter in his illustrious career and will be releasing his first international album STRANGERS in expanded form in the U.S. in July via Spinefarm Records/Universal. Featuring an impressive array of guests including the godfather of punk Iggy Pop, Emigrate/Rammstein’s Richard Z. Kruspe, Bullet For My Valentine’s Matt Tuck, Noko from UK electronic band pioneers Apollo 440, and acclaimed Texan singer Shea Seger, STRANGERS finds the songwriter and international guitar virtuoso firmly planting both feet in the U.S, with two confirmed shows in Los Angeles at Troubadour on 13th July and in New York City at Highline Ballroom on 15th July, which are on sale now. The first single from STRANGERS is released today. “Move It” was co-written with and features vocals from Richard Z. Kruspe from Emigrate and Rammstein, and is Richard’s first ever vocal collaboration. The video was filmed in Berlin and also premiere’s today and is available to view here (https://www.youtube.com/watch?v=RrDmTfzp4e4). “Move It” is commercially available from today as a two-track single, featuring a “Hounds” remix of the song, done by Olly Burden, known for collaborating with The Prodigy on their most recent album. STRANGERS demonstrates HOTEI’s diversity as a songwriter and master guitarist by mixing instrumental epics with contemporary masterpieces, from current single “Move It”, to the atmospheric “Kill To Love You”, a dark and emotive track featuring Bullet For My Valentine’s Matt Tuck on vocals as you’ve never heard him before. 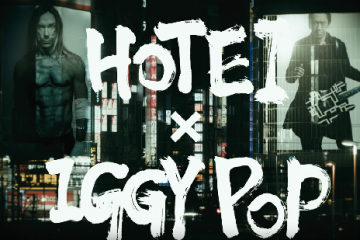 With the abrasive roar of Iggy Pop on two tracks, alongside vocal contributions from Noko and Shea Seger, the unifying nature of Hotei’s guitar work and electronic wizardry produces a genuinely unique, futuristic, thoughtful and diverse album – equal parts rock, dance, punk and electro. 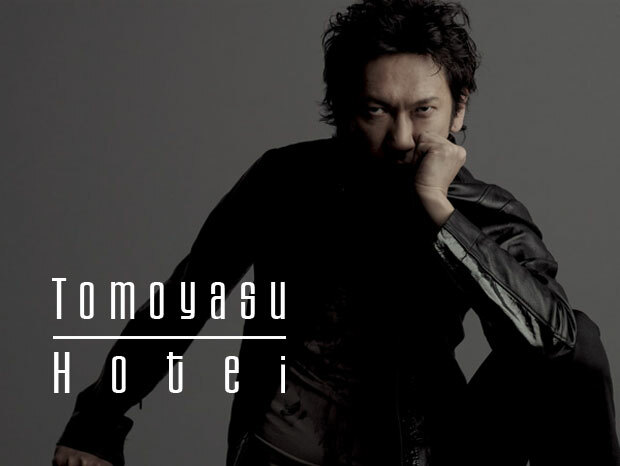 HOTEI’s career began 35 years ago in the early 80s as the guitarist in the legendary Japanese rock band BOØWY (pronounced Boy), who enjoyed phenomenal success and are one of the most popular Japanese rock acts of all time. In 1988, HOTEI established himself as a solo artist, kicking off this new chapter with the album ‘Guitarhythm’, recorded at Abbey Road Studios in London. Sought-after as a collaborator both in the studio and on stage, HOTEI has previously joined forces with music royalty such as David Bowie, Andy Mackay (Roxy Music), INXS, Blondie, Joni Mitchell, Darren Price (Underworld) and more recently performed with The Rolling Stones on their 50th Anniversary tour. 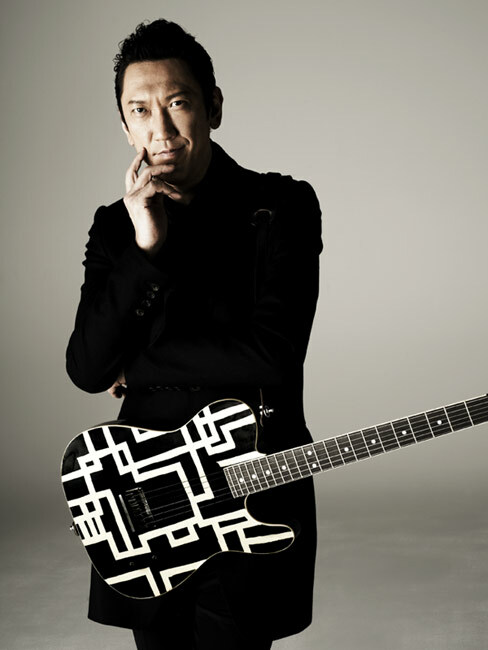 Now living in London to focus on his international career, HOTEI has headlined shows in the capital at the Roundhouse, Shepherd’s Bush Empire and Islington Assembly Hall. In February 2016, HOTEI showcased the STRANGERS album to audiences in Amsterdam, Paris and Berlin, and has just completed a sold out tour in Japan to celebrate his 35 years in music, including performing his debut solo album ‘Guitarhythm’ in front of an arena full of fans in Tokyo. STRANGERS. The album has writing and production credits including Youth (Pink Floyd, Verve, Killing Joke), Leo Abrahams (Brian Eno, Paolo Nutini) and Stephen Lipson (Jeff Beck, Grace Jones, Hans Zimmer). It will be released in July via Spinefarm Records/Universal.